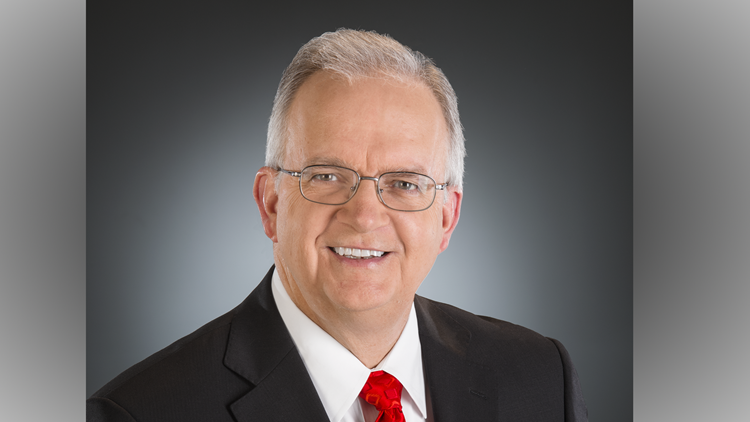 News 19's Jim Gandy brings over 39 years experience as a professional meteorologist to News 19 and has been a major force in South Carolina weather forecasting for 29 years. Jim Gandy is the Chief Meteorolgist at WLTX-TV in Columbia, SC, bringing a large wealth of atmospheric science and forecasting knowledge to the station. Gandy has over 40 years of experience as a professional meteorologist to News 19 and has been a major force in South Carolina weather forecasting for 29 years. Gandy assumed the position of News 19 Chief Meteorologist December 31, 1999, making Columbia television history for the new millennium in the process. He has since become known as South Carolina's Weatherman. In 1974, Jim graduated from Florida State University with a degree in Meteorology. He continued his education from 1992 to 1997 by doing postgraduate work in Atmospheric Science at the University of South Carolina. His first job was with the Center for Storm Research in Houston, Texas. In 1975, he went to work at WREG-TV in Memphis as the first meteorologist ever to appear regularly on television in that city. Jim moved to Oklahoma City in 1977 to join the meteorology staff of KTVY-TV (now KFOR-TV). Five years later, he joined the consulting firm WeatherData, Inc. in Wichita, where he served as Director of Technical Operations, providing weather forecasts for the Kansas State Network. In June of 1984, Jim joined WIS-TV in Columbia as Chief Meteorologist. During his 14-year tenure, he became well known for his forecast of Hurricane Hugo, his coverage of the 1993 superstorm, and the Lexington County tornado outbreak in 1994. Jim was awarded the American Meteorologist Society's Seal of Approval for weathercasting in 1985 and in 2009 became a Certified Broadcast Meteorologist (CBM) becoming the first CBM in the Columbia area. The State newspaper named Gandy Best TV Weather Forecaster in 1993, and "Columbia Metropolitan Magazine" named him Best TV Weather Personality for five consecutive years. The South Carolina Broadcasters Association presented the Masters Award to Jim in 2004. The award has only been given to 12 South Carolina broadcasters and he was the first meteorologist to receive the award. Jim is listed in Who's Who in the South and Southwest, Who's Who in Science and Technology, Who's Who in America, and Who's Who in the World. He's won four regional Emmy Awards and is the recipient of the Silver Circle Award from the National Academy of Television Arts and Sciences. In 1998, Jim joined Gannett Television, where he worked as a meteorological consultant with the weather staffs of the company's 22-station broadcast group. Gandy is a member of the American Meteorological Society, the National Weather Association, the American Association for the Advancement of Science, the American Geophysical Union and the Planetary Society. In an effort to bring the science of meteorology to schools, Jim has taught a course called Weather Science for Teachers through the Center for Science Education at the University of South Carolina. Recently Jim partnered with the Center for Climate Change Communication at George Mason University and Climate Central to develop a program called Climate Matters. The program is presented during the weathercasts to explain how and why our climate is changing. Jim received the 2013 Award for Excellence in Science Reporting by a Broadcast Meteorologist for Climate Matters. The American Meteorological Society elected him as a Fellow in 2018 for his contributions to the atmospheric sciences. Climate Matters has its own webpage on the WLTX website. Jim started a blog to write about weather and climate which has the original title of Weather and Climate Matter. The blog is viewed worldwide and attempts to make weather and climate understandable. Jim's work to communicate and educate about weather, climate, and science keeps him quite busy... all of which make him South Carolina's Weatherman.